Many families with a child with autism or Asperger Syndrome feel that involvement in the community is not for them. This book sets out to change that, with a rich and varied menu of suggestions for how such families can take full part in community life and support the strengths and interests of their child at the same time. Informal learning experiences can be the key to self-discovery, communication, self-confidence, and even independence for many children on the autism spectrum. Only outside the four walls of school will your child truly discover their own passions, abilities, and social peers. Get Out, Explore, and Have Fun is a guide to what's out there, how to find it, and how to make it work for your family. 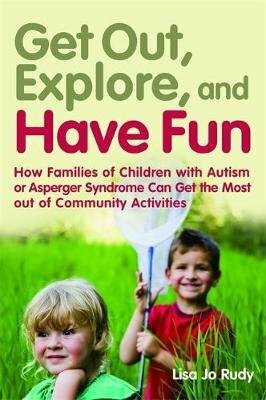 The book includes hints and tips for involving your family in the right community activities, from sport to science; information on museums, arts organizations and science institutions as venues for an enjoyable and enriching day out for the family; and resources and ideas for helping your child build on their strengths, interests, and preferred learning styles to explore life in the community. Handouts about autism are included, as well as handouts suggesting ways in which organisations and institutions can successfully include young people with autism in their activities. This book will open the door to community inclusion, creative exploration, and social learning.